Las Vegas drivers looking for a used model are often faced with one major question: what is good mileage for a used car? After all, you don’t want to spend your hard-earned money on a vehicle that isn’t going to last you very long. When it comes to finding low-mileage vehicles near Henderson, you’ll want to know what to look for, and that tends to be vehicles that average under 15,000 miles per year. Is Mileage or Year More Important? Most drivers will see the 2016 as the newer model with less miles, but what it really says is that the 2016 model was driven an average of 35,000 miles per year, which is a lot of wear and tear for one vehicle. Mileage affects the value of the vehicle you’re looking at. Used vehicles with lower mileage have been driven less often, and that means it has less wear and tear. Because of this, the model likely has better brake pads and discs as well as belts. This could result in less service needed down the road. 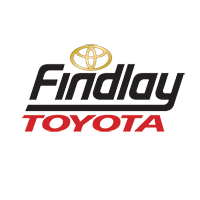 If you’re looking for a used model near Boulder City, be sure to check out the inventory at Findlay Toyota. Our used Toyota models, including our Toyota SUVs, are priced to sell and can be a great addition to your Pahrump commute. 0 comment(s) so far on What is Good Mileage for a Used Car?